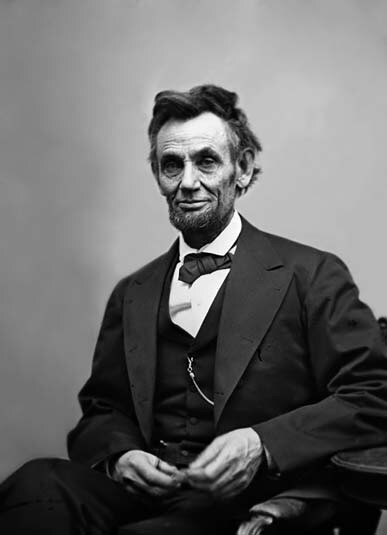 Note: the following 5 actors are based on the amount of times that they have played the “character” of the President of the United States, not necessarily on acting ability, likeability, or popularity. #5 Ronny Cox – I remember when he played Andrew Bogomil in “Beverly Hills Cop 1 & 2,” as well as the a-hole head of CP in “RoboCop.” Oh yeah, and he was in “Total Recall.” Mr. Cox starts off the list by playing the Prez twice: he was President Tom Kimball in “Captain America” (1990) and President Jack Neil in “Murder at 1600” (1997). 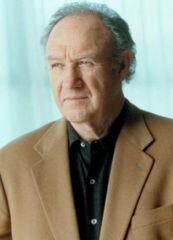 #4 Gene Hackman – Gene is in my Top 20 Actors of All Time. Although I have not officially made that list, he’s a serious contender. Known for roles such as “Popeye” Doyle in “The French Connection,” and Capt. Ramsey in “Crimson Tide,” Hackman was the kinda guy that was unpredictable, which made watching him great. 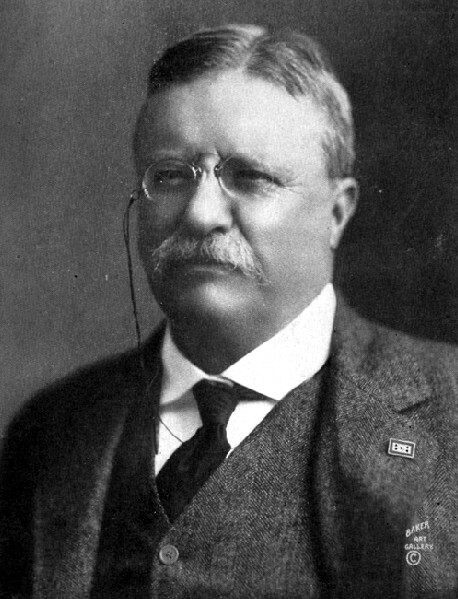 He’s another two President-er: he played ex-President Monroe Cole in “Welcome to Mooseport” (2004) and President Allen Richmond in “Absolute Power” (1997). #2 Leslie Nielsen – Growing up with the humor of Zucker-Abrahams-Zucker it’s hard to imagine Leslie Nielsen as a serious actor. 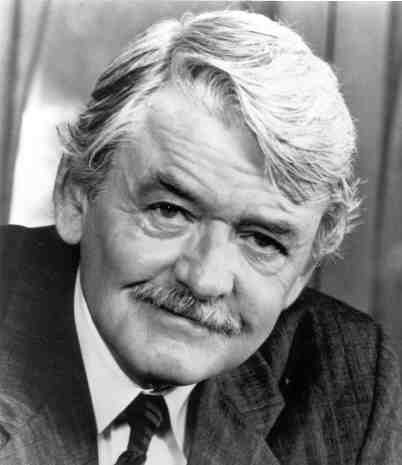 His most notable appearance was in “Forbidden Planet.” It was because of his foray into slapstick comedy that he played President Baxter Harris in “Scary Movie 3” (2003) and “Scary Movie 4” (2006). 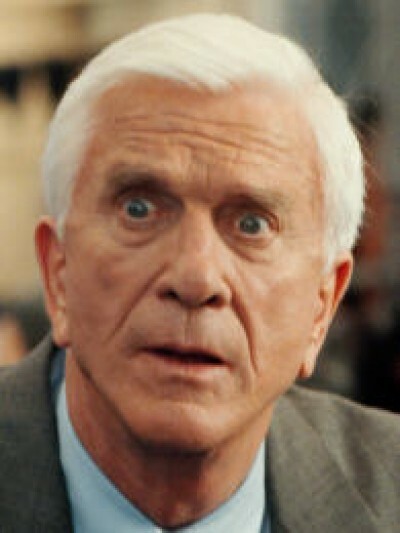 My favorite quote of his is still: “Nice beaver.” Gotta love the “Naked Gun” movies. #1 Roy Scheider – Has there ever been a greater actor than Roy Scheider? Maybe, but I shall and will debate you until my last dying breath. Or until the pizza gets here. Either way, Scheider is, was, and has been my favorite actor of all time. It takes a lot to convince throngs of audiences that a mechanical killer shark is REAL, and he was just the person to pull it off. 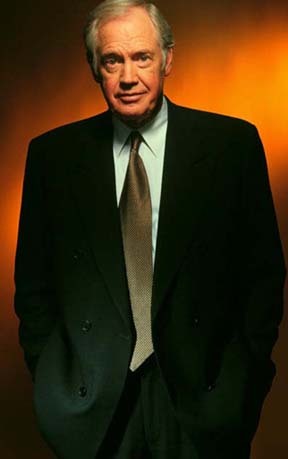 Roy is the King of Actors Playing the Prez, holding Three Occurrences: he was President Carlson in “Executive Target” (1997), President Robert Baker in “The Peacekeeper” (1997), and President Jack Cahill in “Chain of Command” (2000). Did anyone notice that Scheider his “French Connection” co-star Hackman played El Presidente in the same year? 1997. And Scheider played the character twice. There ya go. Welcome to the June edition of Remake Radar, where we tackle Hollywood’s penchant for remaking previous films (for better or worse). 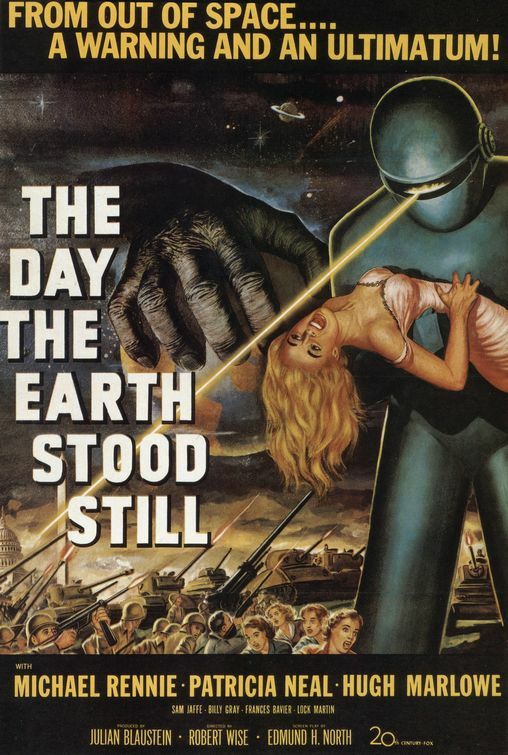 This edition’s remake: The Day the Earth Stood Still. Stars: Michael Rennie, Patricia Neal, Hugh Marlowe, and Sam Jaffe. Story: Klaatu (Rennie) lands his spaceship on Earth to give a message of peace. The response in kind is to shoot at him. He calls out his giant robot Gort (Lock Martin) and narrowly escapes. Klaatu blends into society by calling himself Mr. Carpenter, and meets single mom Helen Benson (Neal) and her son, Bobby (Billy Gray). He tours around a bit, finds out that mankind has a penchant for warfare, and warns others that if the Earth doesn’t stop making other planets feel uncomfortable, it’ll be destroyed. Speaking of which, unless he gets to Gort and repeats the magic words, Earth WILL be destroyed. Based on: “Farewell to the Master,” by Harry Bates. What do we know now? : It’s coming out at the end of the year! 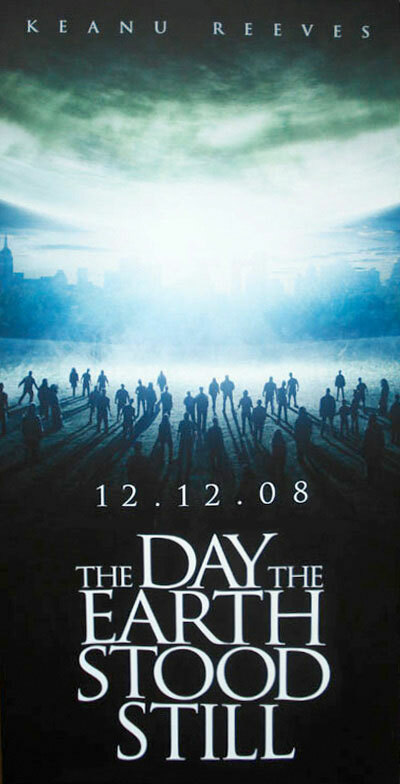 Director Scott Derrickson (“The Exorcism of Emily Rose”) will be bringing it to a theatre near you on/around December 12, 2008. Sorry about this one, Chief. For the most part, it was enjoyable. 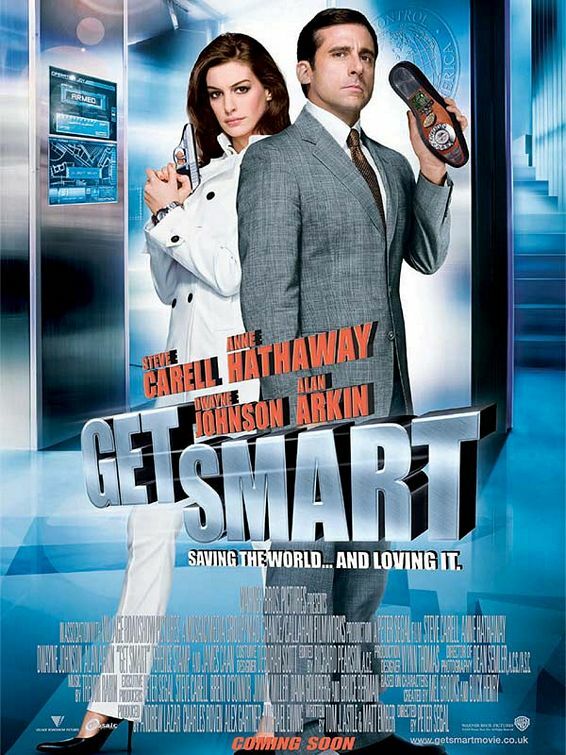 The story: Maxwell Smart (Carell) works for CONTROL, an organization that rivals the CIA and is thought to be defunct. Smart is one of the best linguists for CONTROL, producing reports on singular conversations that look like tomes of literature. What he really wants to do, however, is be a field agent. On his eighth try he passes the test, but Chief (Arkin) won’t promote him because Smart is too good at his job. When Siegfried (Stamp), a terrorist wanting to get KAOS back into action, blows up a factory and infiltrates CONTROL, agents are killed and their identities compromised, the Chief has no choice but to send out Smart (because no one knows who he is) and Agent 99 (Hathaway), who had facial reconstruction surgery (know one knows who she is, either). Meanwhile, Siegfried and KAOS have a plan: the President (Caan, doing a “W” impersonation) will be attending a concert at L.A.’s Disney Hall. During the final notes of “Ode to Joy,” –KABOOM. Ensuring this plan is Shtarker (Ken Davitian) and a gigantic bodyguard named Dalip (Dalip Singh), as well as the possibility of a double-agent inside CONTROL. What works for this movie is the “amusing” humor. Not always laugh-out-loud, not always knee-slapping, but whimsical, amusing humor. It’s this light-hearted humor that sustains for the first third of the movie. From there it goes to action sequences (the best I’ve seen done for a comedy movie) that are broken-up by an occasional remark or laugh-out-loud moment. Carell’s plays Maxwell Smart as a doggish-character who gets kicked around a lot, but keeps loyal to the task at hand. He may not be 100% the Maxwell Smart envisioned a la Don Adams, but he’s the closest we got. Hathaway does a good job at being Agent 99, but I think she was a little young for Carell. Arkin was great as The Chief, and Dwayne Johnson did a good job, too. Hell, even Bill Murray did a good job as Agent 13 (an agent forever disguised as a tree). Is there anything I didn’t like about the movie? Not really. I wasn’t expecting a lot. Does it stack up to the television show? Seeing as how the show was on the air decades ago, it’s kinda difficult. I mean, condense a TV show down to a two-hour film and don’t use the actors who were originally in it. Is it a good idea or a bad idea? Should we continue making movies based off of TV shows? That’s a discussion for another time. Kudos to Trevor Rabin for making music that really stood out. 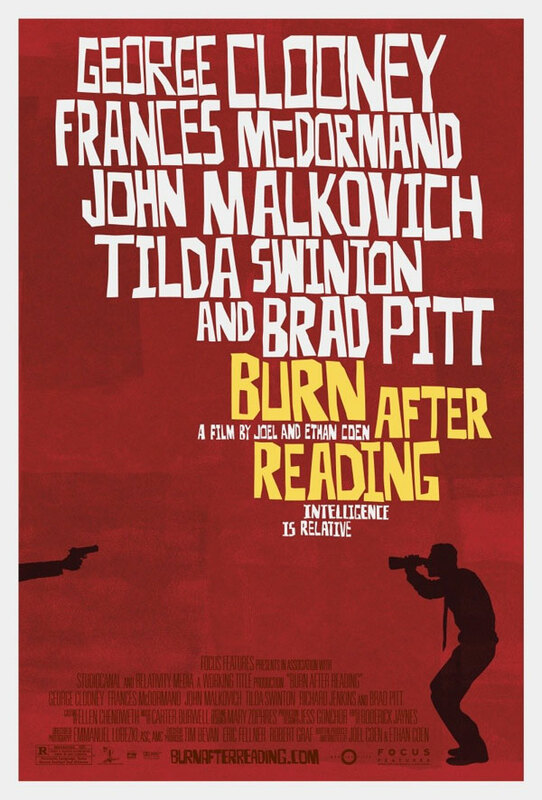 Overall, this movie was enjoyable in a “kill an afternoon” sorta way. If this doesn’t make the money it needs at the box office, it’ll be a hit when it comes out on DVD and makes its way to cable. This one is kinda personal. I’m not big on doing these obit columns. Part of the reason I do them, among the gambit of other entertainment news/reviews that I do, is to pay respect to individuals (quite a few who are behind the scenes) and to make aware to those outside the industry the passing of someone who affected entertainment and, at times, became part of the pop culture. 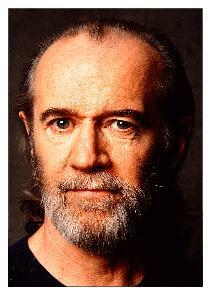 This morning I logged onto the Net and found George Carlin was dead. He had passed away yesterday from heart problems at the age of 71. 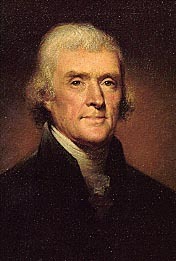 The first time I had heard about him through my parents and friends. I eventually anted-up and bought “Parental Advisory: Explicit Lyrics” (an audio version of his “Doin’ It Again,” HBO special). It was my rite-of-passage into the world of comedy. From that point I bought his next two albums and listened to the point where I knew the routines by heart. But the real reason that Carlin is known is his comedy. Social and political commentary, religion, human nature, and poking fun at the English language, were all done with acidic humor and wit. Whether he was talking about war (“The bombs and the rockets and the bullets are all shaped like dicks…”) or language (“Sneakers became running shoes. 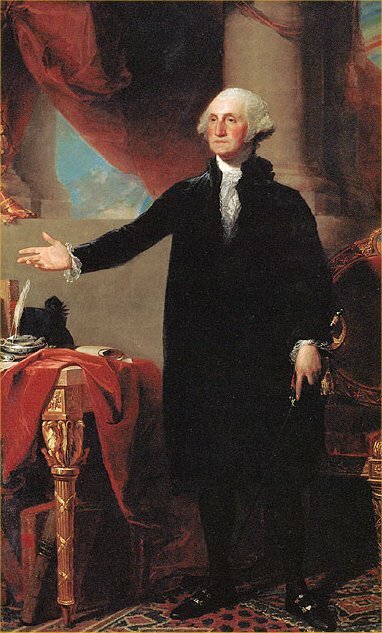 Toilet paper became bathroom tissue…”) or anything else (“A place for all my stuff…”) he knew how to jab at it the right way, making a point and having you agree at the same time. 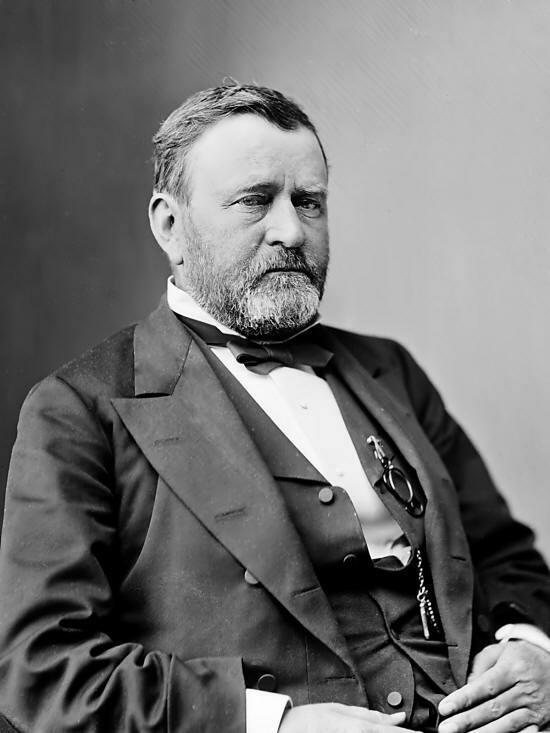 One accomplishment (if you can call it that) was having a Supreme Court case brought against him. In 1973 he was in Wisconsin doing a concert rattling off the “Seven Dirty Words.” Wisconsin radio broadcasted it all (uncensored) and a guy driving down the road with his son in the car were listening to it. He complained, it went to the FCC, the FCC talked with the TV station, Carlin was brought up on obscenity charges, and eventually it went up to the Supreme Court. You can go to your local library and look it up the case; it’s funny to see the seven words listed in a book that contains other, more prestigious, cases. In closing, thank you George for inspiring comedians around the world and for making the rest of us think about the things we take for granted. We’ll miss your satiric thoughts, sharp tongue, and the fact that you could make us laugh our asses off. 2003: Banner’s father made him “special” by altering his DNA. 2003: A lab accident happens and Banner survives, his altered DNA mixing with nanomeds. 2008: A lab accident happens and Banner miraculously survives Gamma radiation poisoning. 2003: Banner goes on the run because when he gets angry, he becomes the “Hulk,” and he likes it. 2008: Banner goes on the run because when he gets angry he becomes the “Hulk,” and he hates it. 2003: Banner returns home to get information, which isn’t much seeing as it was devastated by a bomb explosion. 2008: Banner returns home to Culver City Campus to get information, which isn’t much seeing as how General Ross removed it from the computer system. 2003: Banner becomes Hulk and saves Betsy’s life because his dad unleashed three mutant dogs on her. 2008: Banner becomes Hulk and saves Betsy’s life because she went to protect him and puts herself in the middle of Hulk being strafed by ammunition while her father watches. 2003: General Ross is slightly sympathetic, but believes Banner will follow in his father’s footsteps. 2008: General Ross lied to Banner about the work he was doing and sees him as military property to dissect. 2003: The experiment in the lab was about creating soldiers who could regenerate. 2003: Hulk DNA goes to Banner’s father, who wants to “understand” the transformation. 2008: Hulk DNA goes to Emil Blonsky so he can become a super soldier and bring Hulk down. 2003: Hulk DNA does not mix well and Banner’s dad becomes a giant electrical monster. 2008: Hulk DNA does not mix well and Blonsky becomes Abomination. 2003: Banner/Hulk must sacrifice himself and fight dad/giant electrical monster. 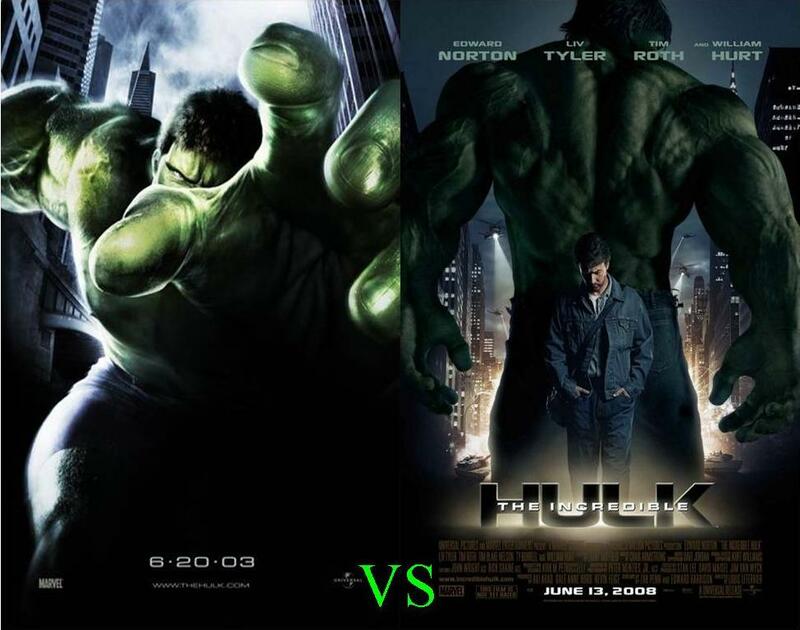 2008: Banner/Hulk must sacrifice himself and fight Abomination. 2003: The fight ends with the military dropping a giant Gamma bomb. Hulk and electrical monster are nowhere to be found. 2008: The fight ends with Hulk strangling Abomination with a chain. Hulk wins, and runs away. 2003: Banner/Hulk is hiding out in an Amazonian rainforest. 2008: Banner/Hulk is hiding out in the Canadian woods. 2003: Banner/Hulk was in San Francisco. 2008: Banner/Hulk was in New York City. 2003: Stan Lee had a cameo as a security guard. 2008: Stan Lee had a cameo as a senior citizen who drank juice with Hulk blood in it. 2003: Lou Ferrigno had a cameo as a security guard. 2008: Lou Ferrigno had a cameo as a security guard, and he does the voice for Hulk.